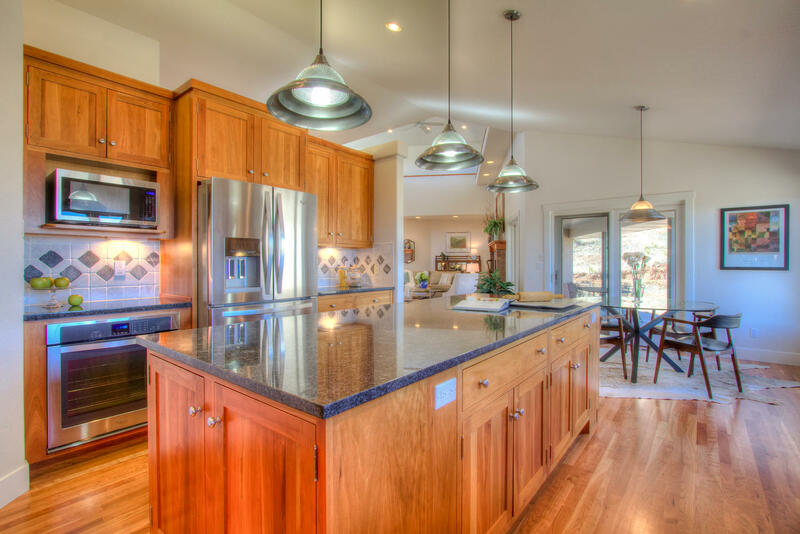 A Sedona Hills Treasure, First Time Offered! Escape to the tranquility of this ideally appointed custom walk-out ranch on 35+acres! Bring your horses! Permitted back up domestic and irrigation well! 5 spacious Bedrooms, 4 Baths +5 car garage+heated sunroom at 4,663 square feet with a heated 2,400sqft shop! 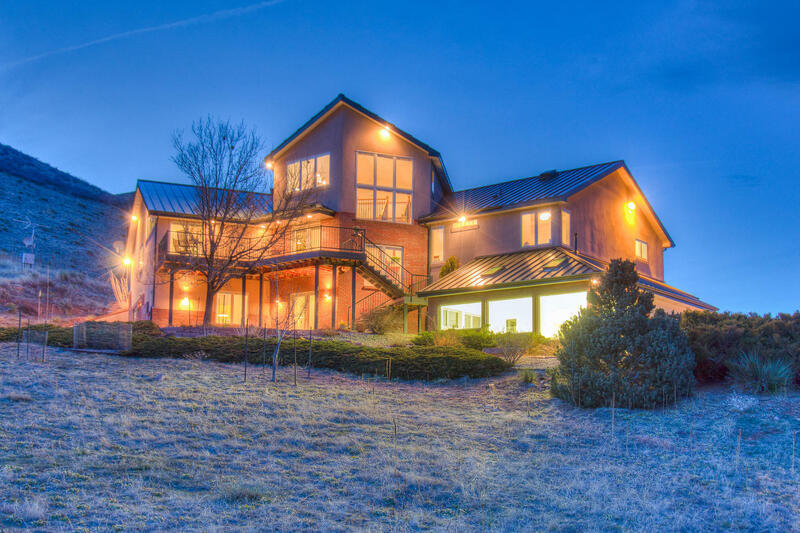 See all the way to Pikes Peak on a clear day, architecturally designed for million dollar views! Raised Walk-out Custom Ranch, custom built by Glenn Homes. Stunning outdoor Colorado Living in a private gated community, Only 10-15 minutes from Loveland and Longmont, easy commuting! Quick Access to Hwy 287 and minutes from Carter Lake for endless outdoor recreation. Enter onto gorgeous newly finished solid cherry hardwood flooring, and soaring ceilings which shelter ample natural daylight through the triple pane Pella windows. 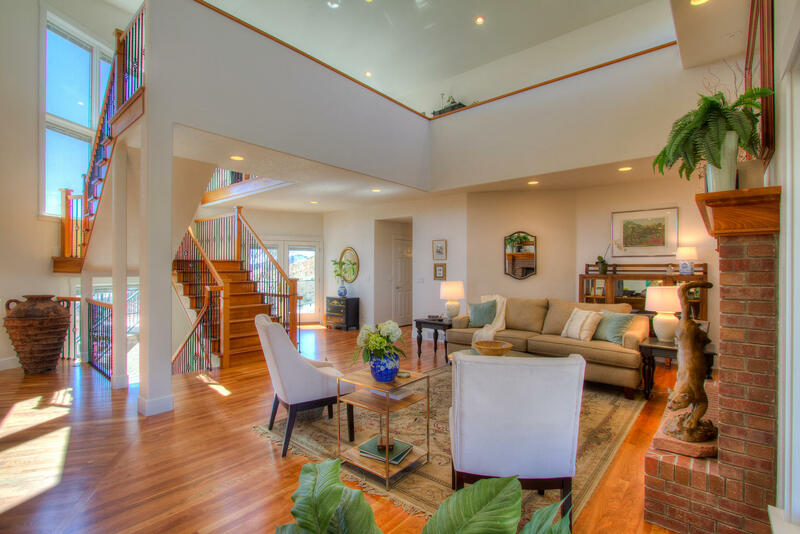 Captivating unparalleled Mountain Views, Quality Craftsmanship in pristine condition! New Standing Seam Metal Roof and gutters, New Slab Granite, tumbled full height splash, under cabinetry lighting, Beautiful shaker style custom cherry cabinetry, Stainless appliances in an open commercial size kitchen 24X15, new kitchen faucet, includes double ovens one convection which is gas and one new electric oven, Five Star Gas range, 4 burners and a griddle, vented through the roof, reverse osmosis filter, new robust French side by side refrigerator, dishwasher and microwave. *Also includes both sets (front loading washer and dryer on the main laundry level and a stackable on the lower level) Low Maintenance exterior finishes with brick and stucco. Solid Core doors throughout, STORAGE GALORE! Wool Berber carpet in the loft/retreat on the top floor! Structural Wiring throughout Cat 5, Mechanical room houses 2 hot water tanks, humidifier, passive radon stub, slab-on grade 2X6 construction, full set of plans available. Septic is sized for 4 Bedrooms. Garage houses sump pit, 2 (220v outlets), and pulley system. Garage is completely insulated both walls and ceiling. Versatile 4 Season Sunroom plumbed for hot and cold, cold ready, Quality Timber tech decking, Ideal guest or Mother-in-Law Quarters on the lower level and 2,400sqft. heated shop! Nearly 1,000 sqft. of Outdoor living space! Enjoy the downtown Loveland city lights from the north side and Pikes Peak from the south! This beautiful home embraces a sophisticated comfortable outdoor lifestyle with a host of technical upgrades and energy savings! *See listing agent for details on the included 5.875kW Photovoltaic system, and the ability to enjoy free high speed internet!